This is the building that was the Zion Sunday School in Attercliffe. Joseph Read had was a major funder when Zion Chapel in Attercliffe was rebuilt in 1802 and his wife Elizabeth Read was Sunday School superintendent with her five daughters as assistant teachers. 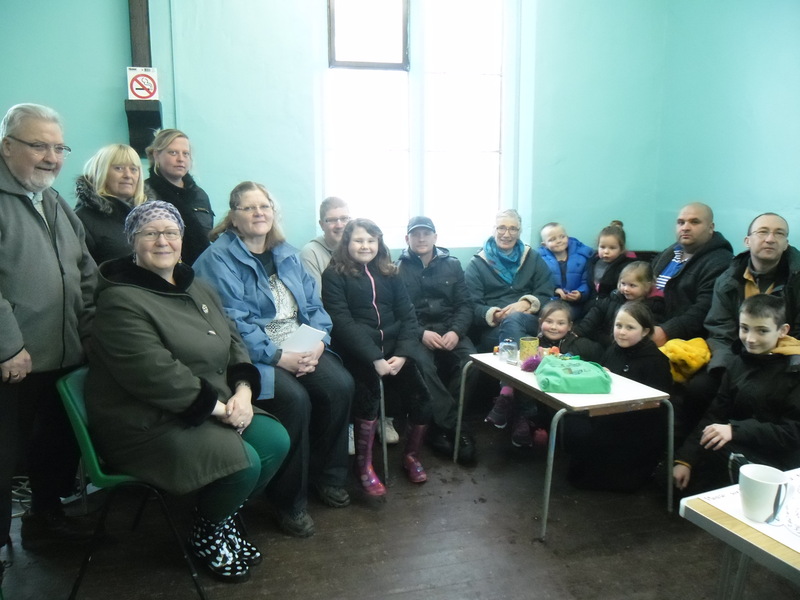 When they moved to Wincobank the children insisted on coming back to help at Zion and despite setting up a chapel in the coach house and Sunday School in the laundry at Wincobank Hall for the local people, the family continued to worship at Zion Chapel throughout their lives. The newspaper report of Mary Anne’s funeral states that she was buried in the family vault at Zion Chapel, Attercliff with her parents and other members of the family. Originally a very plan building, similar to the Sunday School only larger, the chapel was rebuilt in 1862 and gained an elegant angular spire , a beautiful interior and a fine pipe organ. Click here for link to Picture Sheffield / Zion Chapel Attercliffe . The chapel fell into disuse as houses in Attercliffe were demolished. The area took on a more industrial character and the building was used as a warehouse until it burnt down in 1987 after soon after it was demolished. Eventually the land where the building stood was purchased by Riley’s Machine Tools who owned a nearby shop. The land was fenced in for security and over time became a small forest. Earlier this year the local paper reported that the graveyard was up for sale and so the trail started to hunt down the owners, key holder and finally the grave. By amazing good fortune, heavenly guidance or the sixth sense of volunteer Dave Roberts, we found the Read family gravestone lying flat beneath four inches of dust and ground cover. The inscription lists the family members interred in the vault beneath the two huge stones: baby daughter Julia Read who died 1818 aged 11 months, Sarah who died aged 23 in 1829, Joseph Read 1837, his wife Elizabeth 1865, daughter-in-law Sophie, Catherine 1867, Emily 1883 aged 75, and finally Mary Anne in 1887 aged 85. The only son Edmund Read died abroad in 1873. The only family member not buried here is Eliza Wilson who despite ill health gave birth to nine children before she died in 1851 at the age of 48. All the other Read children died childless, Mary Anne’s own daughter Lizzie having died in Capri in 1862 aged 33. There are many other graves smoth ered in foliage. Each of these people had an interesting and important life and deserves to be remembered, their resting place respected. If you know of a relative buried there or are a descendant of any of the grandchildren of Joseph and Elizabeth Read, descendants of Henry Joseph Wilson, or John Wycliffe Wilson, please get in touch through this website even if you have contacted us before. It doesn’t matter of you are far away we just need to be able to contact you to prevent the graves being built over. Thank you. So we have come back to the present day to think about the future. What next? Mary Anne Rawson said “Prayer without action is a mockery”. At a time when women did not even have the right to speak in public, she and other women were actively campaigning on a one to one basis, talking to people, challenging views, explaining why they should not buy sugar grown in the colonies. She felt that to spend time and energy on ampaigning for equal rights for women was a distraction when she was committed to drawing attention to the plight of the truly disenfranchised, those trapped in slavery despite new laws prohibiting both the trade and also the ownership of slaves in the British colonies. We can see now that the suffrage movement was essential and the status of many women around the world has improved and with it the life chances of their children. But slavery continues. When she was 76 Mary Anne was still campaigning and today across the world others carry on that fight. October 18th has now been designated Anti-Slavery Day. What can you do to raise awareness and support those for whom the future seems without hope? If you want to know more the Truth Uncovered website https://www.truthuncovered.eu/is a good place to start (If the link doesn’t work for you please copy and paste it into your web browser). In 1995 Kate King, with her husband Jeff, developed the inspirational Dream Scheme, which has since changed the lives of thousands of young people around the world. In March 2013 Kate returned to Wincobank after an absence of more than ten years to share her memories and meet up with old friends. Click here to listen to Kate interviewed by 12 year-old Dylan Barker. Over a hundred people gathered at the Chapel on 26 January 2013 despite deep snow that made driving impossible. They came to the Wincobank Retro Day, organised in partnership with Sheffield Star to launch our All Our Stories project. We had invited people who used to come to the chapel to return to share their memories and make a recording for the Chapel Archive. After a technical glitch or two we are just beginning to upload them to YouTube. Click on the title above to see the video interview. There are lots more interesting videos about Wincobank on YouTube and more coming daily – have a look! We were very interested to receive by email from Canada this photograph of Sergeant Walter James along with a photograph of a silver watch presented to him in recognition of his bravery in confronting a burglar at Wincobank Hall on November 5, 1881. The email was sent by his grandson with a request for further information. 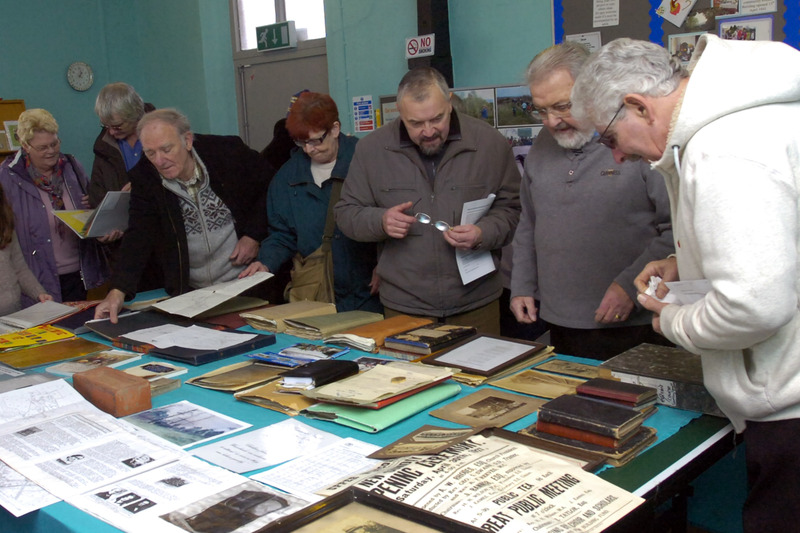 We showed the pictures at our Heritage Open Day in September and have been delighted that members of the public have taken the time and trouble to trawl through the newspaper records to uncover the full story. At half-past two o’clock on Saturday morning, Police constable James, of the West Riding constabulary, had a desperate encounter with a burglar at Wincobank Hall, the residence of Mrs Rawson, a widow lady, about three miles from Sheffield. The officer, who was on duty near the hall, was startled by a slight noise, and judging from the sound thought someone was breaking a pane of glass in the drawing-room window. Halting in his beat, he looked across the lawn in front of the hall, and saw a tall, powerful-looking fellow loitering near the residence. Believing a gang of burglars were at work in the hall, he made his way as quickly as possible to Mr William Hulley, farmer, who resides in the vicinity. Mr Hulley joined the police-officer without delay, and the two men then hastened towards the hall. Shielded by the shrubbery they noticed that the burglar was endeavouring to force an entrance through the drawing-room window. Police-constable James immediately ran forward intending to seize the marauder, but the man suddenly faced the officer, and dealt James a terrific blow with a heavy, sharp steel “jemmy” which cut completely through the constable’s nose and chin, inflicting a fearful wound. Although almost choked with blood, and suffering intense pain, the officer very courageously closed with the burglar and a desperate fight ensued. At last, with Mr Hulley’s assistance, the burglar was secured. He had in his possession, in addition to the steel “jemmy,” a bayonet shaped dagger, a large gimlet, and a dark lantern. With the gimlet he had bored 12 holes through the window shutter, so that he might be able to unfasten the bars inside; and he had also made holes through two large panes of plate glass, and undone the window fastenings. The burglar, who is six feet in height and very muscular, was taken to Ecclesfield Police Station, where he refused to give an account of himself. The only information obtained from him was a statement to the effect that he came from Newcastle. The man is supposed to be one of a gang of burglars who have infested Sheffield and the district for some time. Superintendent Gill, who visited Wincobank Hall on Saturday, is of the opinion that the prisoner is no novice in the burglarious art of entering people’s houses. A presentation was then made of an inscribed silver watch to PC James and a set of silver cutlery (equal in value to the watch) to Mr Hulley. A remaining sum of money was equally divided between the two heroes. 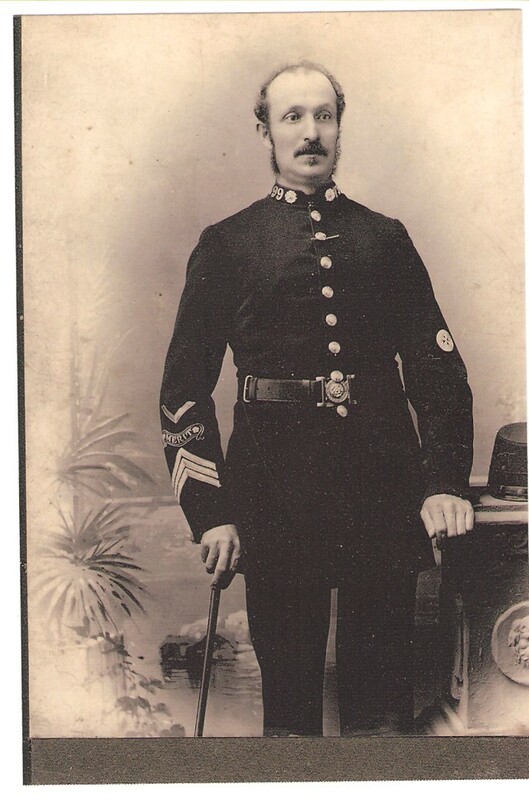 Police–constable James was duly promoted to Sergeant and moved to Dewsbury. In Wincobank life settled back to normal. Many thanks to Robert Plows, Julie Williams and Lyn Howsam for helping to piece together this inspiring true story. By 1905 the Sheffield Board Schools had been founded and the little Wincobank Day School was no longer required. However, the congregation and was growing so the decision was made to extend the room used as the chapel, doubling its length as can be seen when this photograph is compared with earlier images. In the 1920s an extension was built on to the back of the School Master’s House to house the ever-growing Sunday school. Many local people remember this building as the Concert Hall. Records of the trustees for this period show that Mary Anne’s nephews, Henry Joseph and John Wycliffe Wilson continued as trustees and were joined by various other members of their family up to and including 1955 when Ronald Eliot Wilson, son of J.W. was the sole representative. R.E. Wilson was the last descendent of John Read to be a Director of the company he had founded in 1760, the Sheffield Smelting Company. We would be delighted to make contact with any surviving members of the family. Several days reading in Sheffield Archives has shed dazzling light on the distant and dusty years of the chapel’s history. Tucked amongst the papers of the Sheffield Smelting Company lie letters, documents, accounts and records, waiting for someone, one day to find them. Once pieced together with our working knowledge of the chapel, originally a school, it all begins to make sense. Mary-Anne, in her will, leaves £400 to be invested to provide an income for the school. In a handwritten note, written in 1885 she adds the furniture and stove from the chapel in the laundry for use in the room in the school building that will be “appropriated” for worship. This brief note helps clarify our confusion as to the original function of the building. It seems it was built as a school for multi-purpose use when Wincobank Hall and the outbuildings were sold off. What foresight – how modern! In addition to the £400 left to the school trust that she had set up, Mary-Anne planned that the proceeds from the sale of Wincobank Hall should be invested in an annuity fund so that the school master and his wife would have a permanent income and so would never have to leave Wincobank. 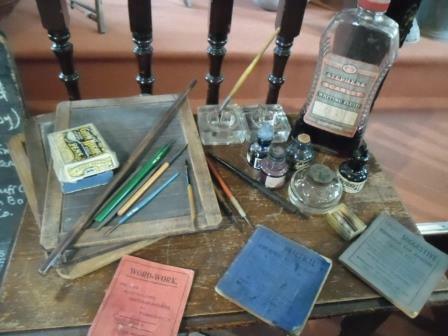 They were also bequeathed the rights to live in the School House for their lifetime. Mary-Anne estimated that the Hall was worth the £4,000 specified in her will, but by the time she died the building had fallen into such a state of disrepair that it could not be sold. Despite the fact that they themselves, only received a quarter share of the sale of furniture from the Hall worth £59, her nephews, Henry Joseph Wilson and John Wycliffe Wilson seem to have honoured the commitment anyway. Records show that there were outstanding debts for the school and that it was at least temporarily closed while they sorted out what can only be described as a well intentioned mess. Like her father before her, Mary-Anne had been ambitious, innovative and a compulsively generous risk-taker. It was just as well that her sister’s descendents proved to be people of great integrity and conviction who honoured their respected aunt’s intentions and acted as trustees of the charity well into the next century. Well done the Wilsons! We should love to make contact with any direct descendents of HJ or JW Wilson and show you how hard we are working to carry on their good work. 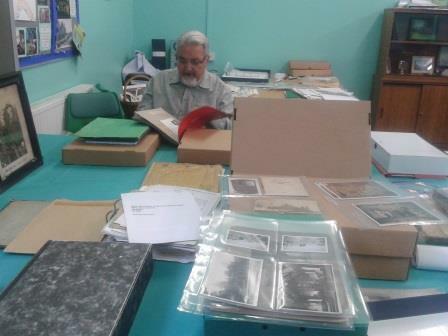 Keith Lemm has looked after the Wincobank Chapel Archive for years so it was really good that he was pleased with the new protective packaging that we have been able to purchase with our HLF funding. We have begun to catalogued the items and the next phase will be to transfer the information onto a database. One day we hope to have an online archive but it seems a long way off just now. Nevertheless, we are making great strides and everyone is very pleased. Visitors love to pick up the items to inspect the old documents so we have put the most fragile items in acid free polyester wallets and secured them in a special ringbinder box folder. That way the pages can be turned and the box lifted up but with luck everything will stay where it is put. The Chapel archive includes the Minute Books of the chapel, the various social clubs and youth clubs. Early copies of Conveyance Documents and the Deed of Trust from 1880, Notices, Order of Service Sheets, news cuttings and numerous photographs spanning the decades. Additional record Books and Accounts are in the Sheffield Archives. We also have a growing collection of documents, photographs and even a framed carrrier bag from a local greengrocer, long since gone, all of which have been donated by local people. Sheffielders have been very sad that the Traditional Heritage Museum on Eccelsall Road, which opened in 1985, has had to close. The collections have been rehoused across the city and we were pleased to receive a consignment of fascinating household objects and clothes that include a beautiful 1862 wooden cradle, a mechanical orange peel shredder for serious marmalade making, as well as a number of mysterious items we have yet to identify. We are looking forward to collecting thoughts about this collection and how it can best be used to help children learn and older people remember what everyday life in Wincobank was really like in days gone by. We hope people will come along on Saturday 14th September 10am – 4pm when the Chapel will be opening the doors to welcome old friends and new as part of National Heritage Open Days. So why Undenominational? This is an interesting question since the Mary Anne’s family were Congregationalists and attended Zion Church, Attercliffe. The question has to be seen in the wider context of the struggle for religious freedom. The Read family had been Non-Conformists as far back as the Civil War when Thomas Read of Kilsby fought on the side of the Parliamentarians. The Protestant Reformation pre-dates Henry VIII’s break with Rome and the establishment of the Church of England. The Protestants rejected Rome and the Non-Conformists further rejected the Established Church of England, refusing either to pay tithes to the Church or to attend services. They were considered heretics and many were imprisoned, executed or exiled. As the centuries rolled by, a more tolerant climate saw the springing up of many non-conformist denominations following inspirational leaders such as Martin Luther, John Calvin and John Wesley, each with slightly different creeds. The Wesleyans split into five different versions of Methodism in Sheffield alone. Undenominational New Testament Christianity was a growing movement i 19th century, America, attempting to bring all together into one Church of Christ, rejecting any human figurehead or doctrine and accepting the Bible as the only binding rule of faith or creed. The absolute autonomy and independence of every local congregation was a central tenet. This is very much the way things work at Upper Wincobank Chapel today, with all its advantages and disadvantages. The Undenominational ethos is protected by the Deed of Trust set out by Mary Anne Rawson in 1850. If it were not for that safeguard, and the absence of any dissolution clause, the chapel would probably have been demolished long ago. For 170 years the Trustees and the congregation have kept faith and continued to maintain an independent church, serving the neighbourhood, with little additional income beyond the rent from the house and the interest from the £400 invested in 1850. Although the future of the chapel is once more under debate, its guiding principles are clear.